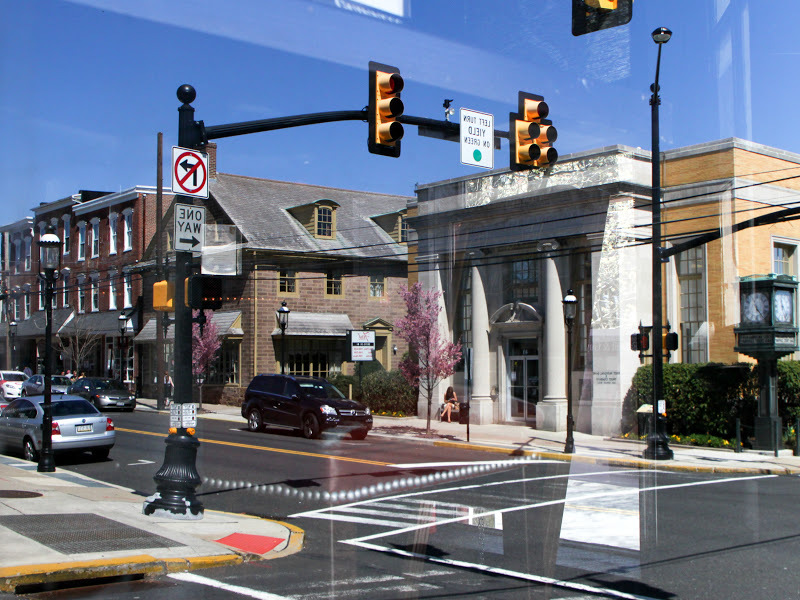 This is a reflection of State Street in Newtown, Pennsylvania. I lived a few blocks away from here from 2009 to 2011 and out of all the places I've lived it's still my favorite town. In fact this blog used to be called Newtown Area Photo before I changed it to Weekend Reflections. Please only link posts that have a photo or photos that contain a visual reflection. Reflections can be on water,glass,metal or anything else as long as we can see the reflection. I love Paris and for awhile I was going there every year but now it's been two years since my last visit. 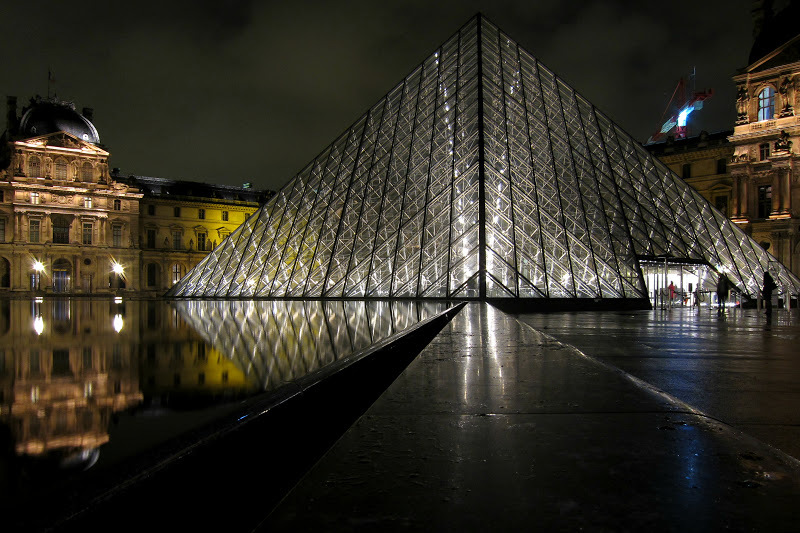 So I've got Paris on my mind. 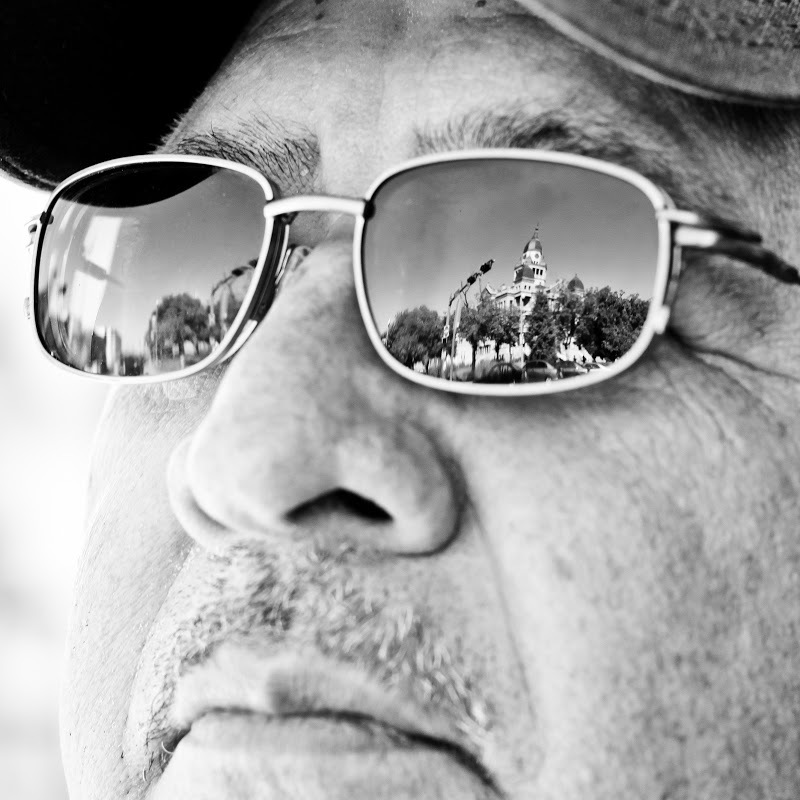 Thanks to the reflection in his sunglasses I didn't even need to turn around to see the beautiful old courthouse. I did end up seeing the courthouse directly but I spent most of my time capturing its reflection in windows. So this probably won't be the last Denton County Courthouse reflection that I'll post. 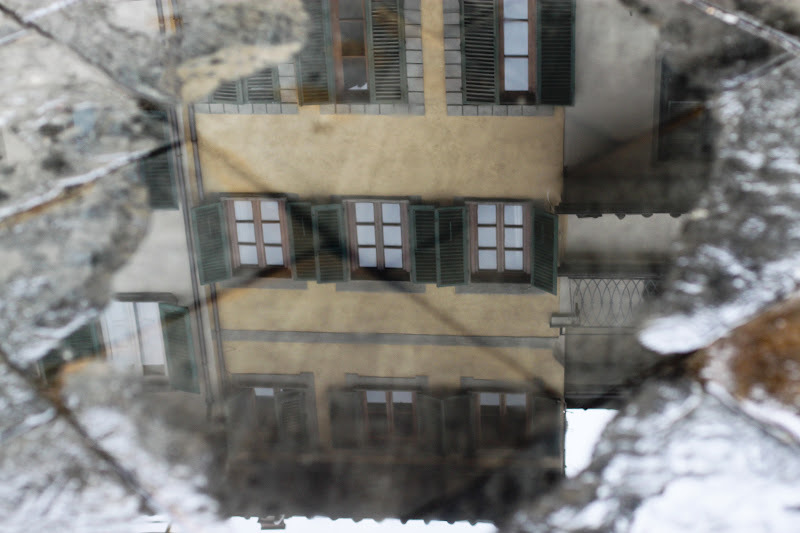 Look, there's a building in a puddle of water. I'm a little late in remembering, but the third anniversary of Weekend Reflections was either last week or the week before. I started it in late September of 2009. I never realized it would become so popular. Thanks to all of you who faithfully or even occasionally come here to share and enjoy reflections!